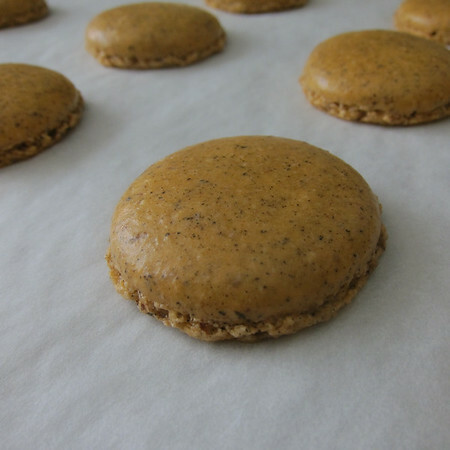 Why yes, that is Earl Grey in my cookie! Less than a year into our relationship TD and I wandered over to Europe on vacation. I point out how long we’d been dating because we were still in that stage where everyone is polite and both parties still happily do things the other likes. Even if they don’t. We spent the first week in London and loved it. Of course. We did all the touristy stuff, drank at Punch and Judys (where I couldn’t keep myself from asking several of the locals why they were drinking Budweiser on a continent with far superior beer. The answer: same reason people drink it in the U.S.–you can drink a lot and still stand) and visited Harrods (we went at least three times that I recall). One of the visits to Harrods was for the sole purpose of partaking in afternoon tea. There was going to be tea sipping and crumpet eating and lots of pinky lifting. Until we walked in and TD discovered that there was an ice cream shop right next to the tea shop. Somehow by some sort of relationship voodoo, I found myself agreeing to ice cream instead of tea. Oh, the salad days of early love. Good thing I don’t hold a grudge. Ha! Nearly 12 years later, this is the incident at the top of my, “well, remember the time” list whenever TD attempts to talk me into doing something I don’t want to do. Anyhow, I do enjoy a nice cup of tea. Which brings us to this week’s post. 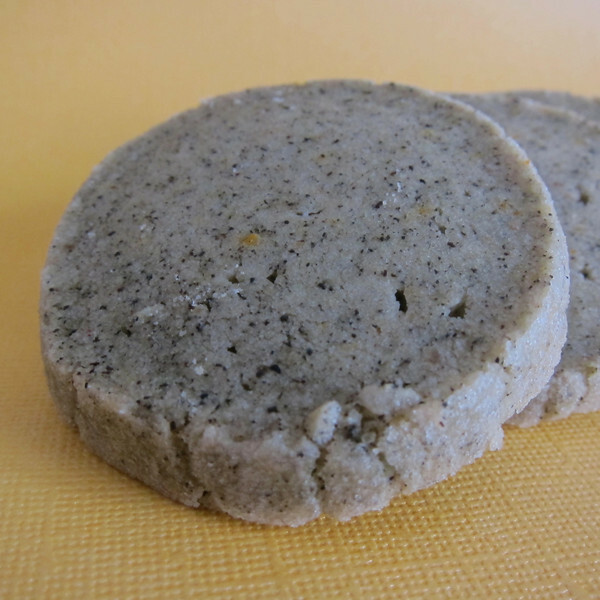 Earl grey shortbread. I love Earl Grey tea. Mostly, it’s the way it smells. But, I also love the word bergamot, one of the tea’s main ingredients. I love the way berg-a-mot rolls around in my mouth when I pronounce it (or think it). Bergamot is actually a type of orange (though its yellow) and it is what give Earl Grey tea its brightness. 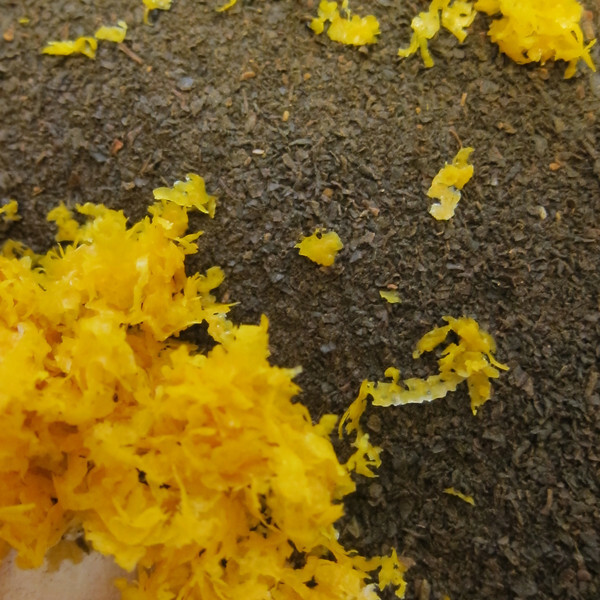 In this recipe, the tea leaves are first finely ground (I used our coffee-bean-gone-spice-grinder) and then pulsed together in the food processor with dry ingredients and my own special addition: orange zest. 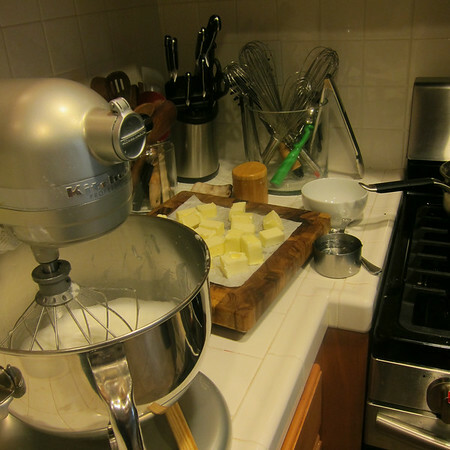 Then, the butter is cut-in until the dough just forms. 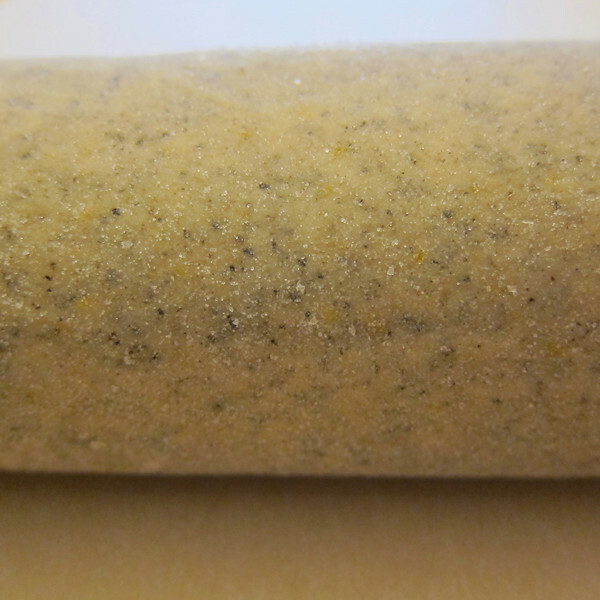 The whole thing is rolled into a log and then, because I like a little sparkle, rolled in granulated sugar. Some time in the fridge (or freezer) and all that is left to do is slice and bake. This delicious cookie does create a bit of a quagmire. What do you drink with your shortbread when the tea is actually in the cookie? 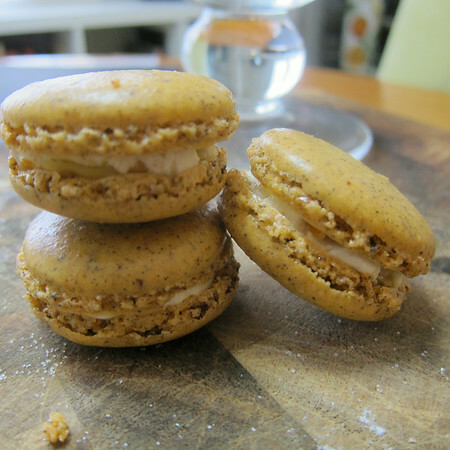 This recipe originated from Foodnetwork.com but has been adapted substantially by yours truly. Grind loose tea leaves in a spice or coffee bean grinder until fine. 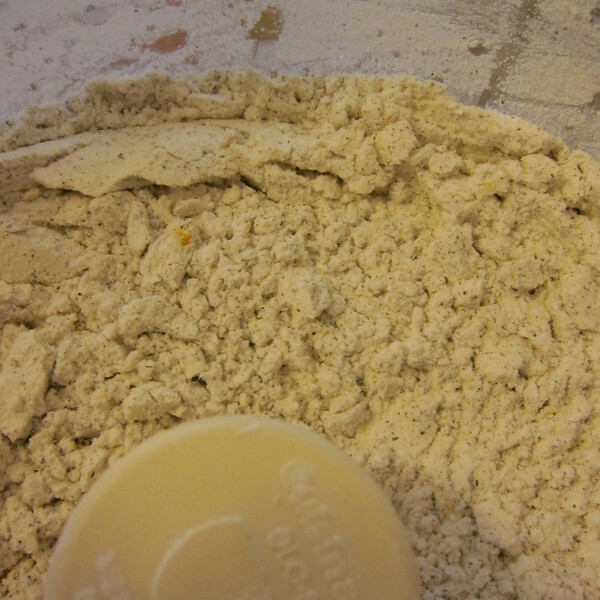 Pulse together the flour, tea, salt, and orange zest until the tea is just spotted throughout the flour. Add the confectioners’ sugar, and vanilla. Pulse-in butter one cube at-a-time until a dough is just formed. Place dough on a sheet of parchment paper or plastic rap, and roll into a log, about 2 1/2-inches in diameter. Roll log in granulated sugar until coated. Tightly twist each end of wrap, and chill in refrigerator for at least 30 minutes (double wrap if freezing).